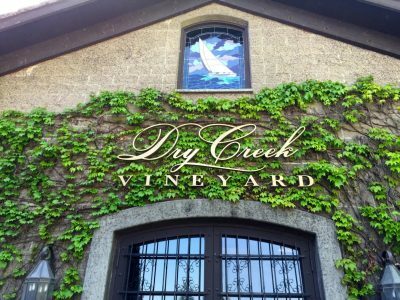 Dry Creek Vineyard is currently seeking a creative, dynamic, tech savvy, detail-oriented individual to join our marketing team as our Creative Design Specialist. This individual will support the marketing team to ensure national sales, DTC and media requirements are met. The primary functions of this role are to develop the layout and design of print and tangible marketing materials, creation and modification of PowerPoint sales presentations, vendor management, hospitality support, as well as fundamental administrative functions. The ideal candidate will be extremely meticulous with very strong project management and organizational skills. They will be a team player, collaborative in nature and happiest when juggling a wide variety of projects. This individual will also be a creative, “out of the box” thinker, and on the pulse of modern design trends. College degree or certification in graphic design, fine arts, or a related field. 3-5 years of experience in graphic design. Requires advanced knowledge in the following computer programs: Adobe Suite (InDesign, PhotoShop, Illustrator, Premiere Pro) and Microsoft Office (Word, Excel, Outlook, Powerpoint). Valid California driver’s license with an acceptable driving history.